I hereby certify that I am the adult parent or guardian of the above listed student, a minor child under the age of eighteen years, and I consent to his/her participation in programs and activities (collectively the "Activities") offered at Dance Innovations Dance Center, LLC ("Dance Innovations") and his/her use of the facilities and equipment supplied by Dance Innovations. I understand and acknowledge that I am fully aware of and assume the risks (including but not limited to the risk of serious bodily injury, property loss or damage) of (1) said minor child's participation in the Activities and (2) his/her use of the facilities and equipment. I recognize my responsibility to ensure that said minor child participates only in those Activities for which he/she has the required skills, qualifications, training and physical conditioning. I understand that Dance Innovations shall have no responsibility to pay for medical treatment and related costs if said minor child is injured. I further understand and agree that Dance Innovations supplies the facilities and equipment "as is", and that Dance Innovations disclaims all warranties, express or implied, including warranties of merchantability and fitness for a particular purpose. Knowing the risks described above, I agree, personally and on behalf of the minor child named above, to assume all the risks and responsibilities surrounding my minor child's participation in the Activities and use of the facilities and equipment. To the fullest extent allowed by law, I hold harmless and agree to indemnify Dance Innovations, its officers, directors, faculty, trainers, instructors, staff, volunteers, employees and agents, from and against any present or future claim, cause of action, loss or liability for injury to person or property, which said minor child may suffer or for which said minor child may be liable to any other person, related to said minor child's participation in the Activities and use of the facilities and equipment, resulting from any cause whatsoever, and regardless of fault. I am at least eighteen years of age and have carefully read and freely signed this WAIVER OF LIABILITY AND HOLD HARMLESS AGREEMENT - Minor Child Waiver. I understand and agree that no oral or written representations can or will alter the contents of this document. I agree that this agreement shall be governed by the laws of the State of New Hampshire (excluding its conflict of laws principles). The terms of this Agreement shall be binding upon the parties hereto and their respective heirs, successors, assigns, and legal representatives as allowed by law. ---2018-2019 Registration Fee: An annual (September 2018 through August 2019) registration fee of $35 per dancer (family cap of $60) covers the cost of mailings, insurance, handbooks, rehearsals, and so on. Registration fees are not refundable. ---2018-2019 Costume Fees: A costume deposit of $50.00 per class will be charged to your credit card or checking account on November 1st. Costume balances will be charged on December 10th. ---2018-2019 Season Tuition and Expense Policy: Our tuition is based on an annual "Regular-Season" tuition (September to June) divided into ten equal payments for you convenience. Please note: tuition is based on the total classes per season, regardless of how many weeks are in a given month. Tuition does not include the registration fee, dancewear, shoes, costumes, recital tickets, private lessons, special events, etc. Tuition must be paid by automatic bank account debit or automatic credit card payment. First payment will be debited or charged with registration fee at time of registration. Subsequent tuition payments will be debited from your bank account or charged to your credit card on the 25th day of each month from September-May. Credit card or bank debit payments are not accepted for in-person payment on a monthly basis. Payment must be made by a pre-authorized automatic monthly payment. Please note: split-payments must be arranged outside of the studio. Winter/Spring 6-Week Sessions are payable in full at time of registration. Summer Camps/Classes are payable in full at time of registration. NSF Fees: Any returned-check/bank draft charge will be subject to a fee of $30.00. Decline Fees: Any declined recurring credit card charge will be subject to a fee of $10.00. Late Fees: There is no late fee assessed until after the 10th of the following month. Any account unpaid after the tenth of the month will have late charges assessed for 10% of the total amount due (minimum $10 late fee). Any student with an overdue balance of more than 45 days will not be allowed into class until payment in full is received. *Please notify us of new card numbers or expiration dates so as not to incur late fees and/or decline/NSF fees. *All charges will appear on your bank statement or credit card statement as being from Dance Innovations Dance Center. *Any applicable discounts will be applied by office staff prior to billing. One month notice from the first of the month is required to discontinue any classes. Withdrawal must be done in person at the studio and will not be accepted over the phone. Withdrawal must be done within the first 7 days of a month. No withdrawals will be accepted after April 1st. To withdraw from classes a parent or adult student must complete and sign a withdrawal form provided by the studio. All automatic bank debiting or credit card charges will stop after the one-month notice period. Dance Innovations Dance Center LLC reserves the right to terminate lessons to any student without notice. *Cancellations made 30 calendar days prior to the start of class will be fully refunded minus an administrative fee of $35. *Cancellations made with a minimum two week notice prior to the start date of class, will receive a 50% refund less the administrative fee of $35. *Winter/Spring tuition is transferable to another open 6-Week Session with a minimum two week notice. *We cannot refund any tuition without a two week notice and/or after the session has begun. *Cancellations prior to June 30th will be fully refunded minus an administrative fee of $35. *Cancellations after June 30th, with a minimum two week notice prior to the start date of class or camp, will receive a 50% refund less the administrative fee of $35. *Summer camp tuition is transferable to another open camp/class with a minimum two week notice. *We cannot refund any tuition without a two week notice and/or after the class or camp has begun. Weather Cancellations: If the studio must cancel classes due to weather or events beyond our control such as power outages, students may take another scheduled class appropriate for their age and experience level. No refunds for lessons missed due to these reasons will be given. If Greenland Central School closes due to snow, daytime classes (classes held before 3pm) are automatically cancelled. However, this does NOT mean that afternoon classes will be cancelled. The decision will be made by 2pm. You may check the website or call the studio ONE HOUR prior to your scheduled class to check the voicemail message. *Saturday class decisions will be made by 8:00am. Substitutions: The studio reserves the right to provide a substitute teacher if the regularly scheduled teacher is ill or otherwise unable to teach classes. If a teacher is ill and the studio cannot arrange a substitute, students may take another scheduled class appropriate for their age and experience level. Makeup Classes: Students who miss a class will have the opportunity to make it up with another similar class appropriate for his/her age and ability level. Sorry, no make-ups are possible for Summer Camps/Classes. Dance Innovations Dance Center maintains a dress code in order for the teachers to assess how well the students are implementing the technique being taught, problems with alignment, and other important aspects of dance training. Required dancewear and dance shoes must be worn to all classes. Failure to wear required dancewear to class could result in students being asked to sit out the class. Repeated failure to wear required dancewear could result in termination of lessons. NO JEANS OR DRESSES IN ANY CLASS! I HEREBY GRANT Dance Innovations Dance Center permission to take and use, reproduce, publish, or distribute any photographs, videos, and/or sound recordings of me or my child for use in materials Dance Innovations Dance Center may create, publish, and distribute. I hereby grant permission to Dance Innovations Dance Center to post any and all photographs, videos, and/or sound recordings (hereinafter "Materials") of my child to Dance Innovations Dance Center's website, social media accounts and promotional material. I hereby release Dance Innovations Dance Center, its representatives, employees, managers, members, officers, and directors, from all claims and demands arising out of or in connection with any use of said Materials, including, without limitation, all claims for invasion of privacy, infringement of my right of publicity, defamation and any other personal and/or property rights. I acknowledge and agree that no sums whatsoever will be due to me as a result of the use and/or misuse of the "Materials" or any rights therein. I acknowledge that my child is under 18 years old and lacks the legal capacity to enter into binding agreements. Accordingly, I have read this Release and consent to my child's inclusion in the Materials will not contest the rights granted in this Release, and shall assist and support Dance Innovations Dance Center in any and all legal proceeding for affirmation of this Agreement. 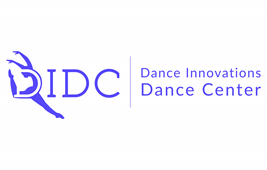 I acknowledge that Dance Innovations Dance Center owns the rights to all choreography and routines taught at the Dance Innovations Dance Center and to all photos and videos taken by Dance Innovations Dance Center or its agents. Please read all newsletters and other school information posted in the Customer Portal, the Dance Innovations Dance Center website www.DanceInnovationsNH.com, and the studio's Facebook page which are all available 24 hours a day. If you have any questions regarding the information distributed, we encourage you to contact the office at (603) 436-2300. Feel free to email questions to the office at Info@DanceInnovationsNH.com. It is the responsibility of the parent/guardian or the adult student to be aware of all studio activities such as picture days, recitals, extra classes, and dates the studio is open or closed. The studio will not only post all such notices on the website and on the bulletin boards, but will also email seasonal newsletters as well (be sure to check that DIDC is on your list of Safe Senders so important studio information doesn't get sent to spam folders). It is the parent/guardian's responsibility to regularly check postings to ensure they are informed, and likewise, to inform the studio of any address, email, or telephone number changes.